Posted July 8th, 2017 by Judith Clemo & filed under beach, cornish holidays, cornwall, cottages, family friendly, St Austell, tregongeeves farm cottages. The day finally arrived and we celebrated Rich’s birthday, for which I am sure he won’t thank me for broadcasting but we have been building up to it all year. You see Richard had said he would like a few nights away and kept dropping hints about The Scilly’s and various other places but with baby sitters willing to have 3 children under 5 in short supply I hatched another cunning plan. Every month around the 4th, the date of his birthday, he gets a surprise meal out. The first few months of the year were easy family places as we had a new born, but last night we stepped up a gear with a visit to The Driftwood. Once upon a time, Rich and I used to save our pennies pre children and were lucky enough to visit some of the best food places in the country, ticking off Michelin starred chefs and eating some pretty amazing food along the way. It is our ‘thing’ you see. 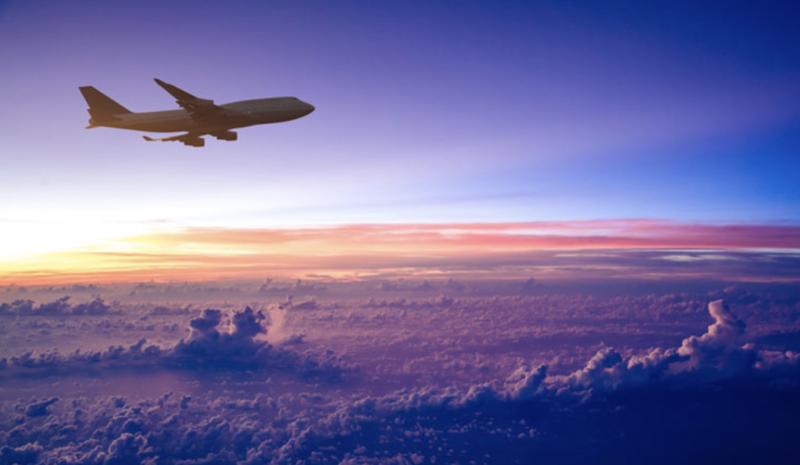 We don’t, and now can’t go on extravagant holidays due to our business and so we like working hard to go out every now and again. In 2017 from January to December I am doing ‘The Great 40th Cornish Food Tour’ for Richard. I knew the Driftwood was going to be special but I was a bit shocked by how special it was. Perhaps this is because of Chris Eden, the Head Chef, one of life’s ‘good guys’. He is exceptional at what he does, but he is also a great guy and this makes his food shine – a bit like when you speak to someone on the phone, you can hear they are smiling – you know through his food Chris is smiling a great smile of pride as he plates up. Greeted with champagne on arrival, we enjoyed stunning views from the sun terrace out over the Roseland Peninsula and coast whilst nibbling on some quite amazing appetizers. We opted for the full works of the tasting menu and were not disappointed. Our table overlooked the sea and the relaxed restaurant proved the perfect back drop to celebrate in style. All courses were divine, each oozing delicate carefully selected flavours. Of particular note was the extra course of Tomato consomme with mackerel tartar . This is a bold statement but perhaps the nicest dish of food I have ever eaten. More courses followed with scallops and beef and cheese and puddings all of which were sensational. The little touches – like the honey with the cheeses were breathtaking – I have never ever tasted honey like it. Great food is the main event but we have to mention all the front of house staff whose passion for what they were showcasing was the best service we have come across. Their knowledge and passion was spot on, helping us enjoy our experience but not intruding on our rare night out. So – if you want a treat whilst visiting then this is a must. Exceptional food in breathtaking surroundings, you will be smiling like you know Chris is as he creates his magic. Book somewhere special to eat. Top end there is The Driftwood, or if you would rather stay closer to home why not try The Kingswood Bar and Restaurant just up the road fantastic food and excellent service. Take a drive and explore Cornwall. We popped over to Pandora Inn which is over towards Falmouth. The beautiful setting of this old fashioned pub on the edge of the water in well worth the drive. The food is a bit on the pricey side, but then you are paying for the stunning view. Cook breakfast together. 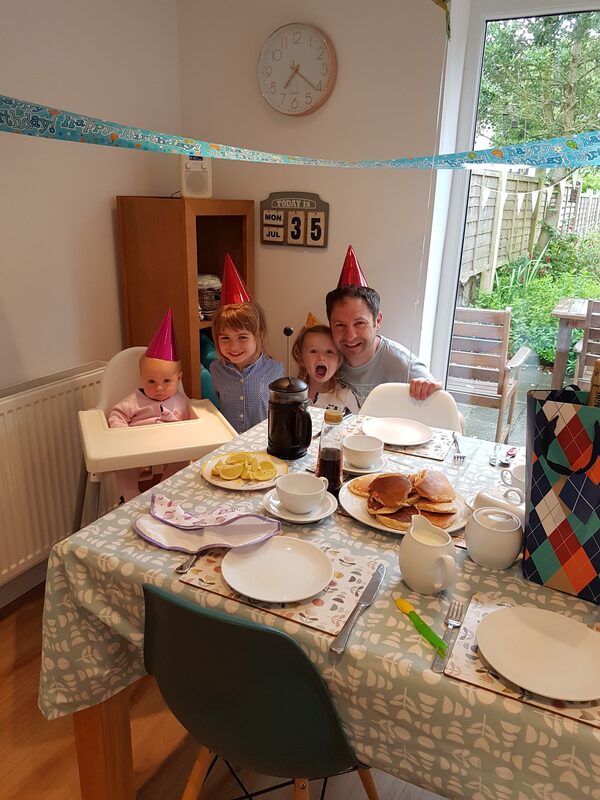 One of our favourite family birthday treats is pancakes for breakfast…perhaps a bit ambitious as it was a school day but they all enjoyed it and it started the day off with great excitement. Have afternoon tea. Cornwall is famous for its Cream Teas and you are spoiled for choice down here. We opted for a family gathering in the garden, however I can highly recommend Grigg’s, Heligan or Healey’s Cyder Farm all of whom will not disappoint. Do something exciting like the zipline at Eden or paddle boarding down at Cornwall Water Sports or pay a visit to Football Golf.